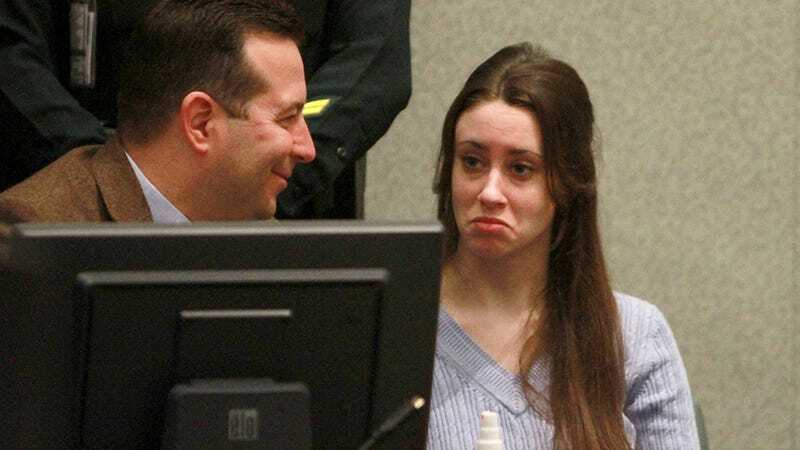 Last month, a private investigator filed court documents claiming Casey Anthony once confessed to killing her three-year-old daughter, Caylee. Anthony, as you probably recall, was acquitted of that crime in 2011 after a two-month trial. The private investigator recalled one night in 2008 when he watched Baez cancel a TV interview on Anthony’s schedule after the mom said she didn’t want to go through with it. On top of the sexual misconduct allegations, Casey also claimed that Baez told him of Anthony’s guilt as they prepared for the trial. “Baez told me that Casey had murdered Caylee and dumped the body somewhere and he needed all the help he could get to find the body before anyone else,” Dominic Casey wrote.